The recent article in Women’s Health Magazine about the “scary mental health risks” associated with meatless diets has—not surprisingly—received lots of attention. People love to hear bad news about vegetarian and vegan diets, after all. 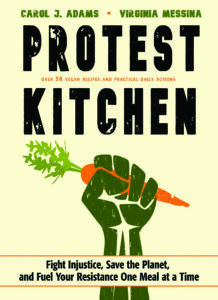 Author Jill Waldbieser pulled the article together from the usual hodgepodge of questionable resources—in this case a few anecdotes plus comments from Vegetarian Myth author Lierre Keith. She also referenced two studies, one in Australia and one in Germany. I took a quick peek at the German study, which assessed diet and mental health in a group of about 4100 subjects. (1) Subjects who said they were vegetarian or predominantly vegetarian were 15% more likely to report depressive disorders. But they were also likely to have adopted their vegetarian diet after developing depression. The researchers concluded that being vegetarian did not cause people to be depressed. Rather depressed people—for whatever reason—were more likely to choose a vegetarian diet. It’s also worth noting that vegetarians in this study were people who said they eat no meat or very little meat. The German word for meat doesn’t include poultry, so it’s not at all clear that all of these “vegetarian” subjects actually ate a vegetarian diet. I couldn’t find the Australian study that was mentioned in the Women’s Health article. It appears to be an unpublished survey, and the lead investigator reached the same conclusion as the German researchers—that depressed people are more likely to adopt vegetarian diets. 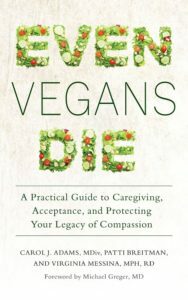 So there you have it—the case for mental health risks of a vegetarian diet is based on two pieces of research–one unpublished, both misrepresented– plus an anecdote from a psychiatrist, another from a dietitian who promotes juice cleanses, and the opinion of an ex-vegan book author who is woefully uninformed about nutrition. None of this has me feeling too worried about vegetarian diets and risk for depression. Finally, vegan diets were associated with less stress and better mental health in a workplace intervention study conducted by PCRM. 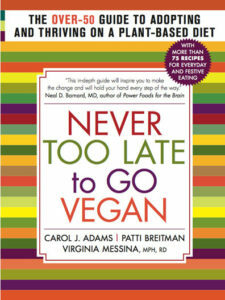 (7) In this case, the subjects following a vegan diet also received both in-person and online support and instruction. So it’s not possible to know whether improvements in mental health were due to the diet or to the social support. But there is good reason to assume that the switch to a healthy plant-based diet had at least something to do with their improved mood. Overall, we don’t have tons of data on mental health of vegetarians and vegans, but what we know seems reassuring. A diet packed with whole plant foods can reduce inflammation which appears to be good for mental health. Individual plant foods may also offer some protection. Of course, there are potential shortfalls in vegan diets that could raise risk for depression. Deficiencies of iron, vitamin B12 and vitamin D and of the long chain omega-3 fats DHA and EPA in particular can all affect mood and mental health. None of these deficiencies are unique to vegan diets, though, and all are easily prevented through appropriate supplementation and food choices. 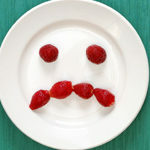 In short, going vegetarian or vegan is not likely to make existing depression or anxiety worse or cause depression in someone who doesn’t currently have it. If anything, it may actually make you feel better. And even if it doesn’t, at the very least your vegan diet is a safe and healthy choice that reflects your values of compassion. That’s something to feel good about. Vegetarian diet and mental disorders: results from a representative community survey. Michalak J, Zhang XC, Jacobi F. Int J Behav Nutr Phys Act 2012;9:67. Vegetarian diets are associated with healthy mood states: a cross-sectional study in seventh day adventist adults. Beezhold BL, Johnston CS, Daigle DR. Nutr J 2010;9:26. Vegans report less stress and anxiety than omnivores. Beezhold B, Radnitz C, Rinne A, DiMatteo J. Nutr Neurosci 2015;18:289-96. Restriction of meat, fish, and poultry in omnivores improves mood: a pilot randomized controlled trial. Beezhold BL, Johnston CS. Nutr J 2012;11:9. Empirically derived dietary patterns in relation to psychological disorders. Hosseinzadeh M, Vafa M, Esmaillzadeh A, et al. Public Health Nutr 2015:1-14. Nutrition health issues in self-reported postpartum depression. Hogg-Kollars S, Mortimore D, Snow S. Gastroenterol Hepatol Bed Bench 2011;4:120-36. A multicenter randomized controlled trial of a nutrition intervention program in a multiethnic adult population in the corporate setting reduces depression and anxiety and improves quality of life: the GEICO study. Agarwal U, Mishra S, Xu J, Levin S, Gonzales J, Barnard ND. Am J Health Promot 2015;29:245-54. So depression is an inflammatory disease, but where does the inflammation come from? Berk M, Williams LJ, Jacka FN, et al. BMC Med 2013;11:200. Dietary inflammatory index, cardiometabolic conditions and depression in the Seguimiento Universidad de Navarra cohort study. Sanchez-Villegas A, Ruiz-Canela M, de la Fuente-Arrillaga C, et al. Br J Nutr 2015;114:1471-9. The association between fruit and vegetable consumption and mental health disorders: evidence from five waves of a national survey of Canadians. McMartin SE, Jacka FN, Colman I. Prev Med 2013;56:225-30. Mediterranean dietary pattern and depression: the PREDIMED randomized trial. Sanchez-Villegas A, Martinez-Gonzalez MA, Estruch R, et al. BMC Med 2013;11:208. Effects of antidepressants and soybean association in depressive menopausal women. Estrella RE, Landa AI, Lafuente JV, Gargiulo PA. Acta Pol Pharm 2014;71:323-7. Thank you for this! As a vegetarian (and aspiring vegan) who has suffered from depression since childhood, I find this very reassuring! It’s important for everyone, but especially for those who are dealing with issues of depression. 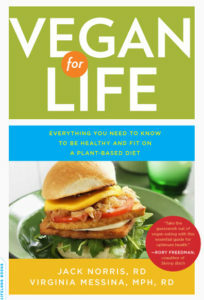 Let me know if you have questions about this and enjoy your journey to veganism! I like so much your posts…they express exceptionally well my own opinions. Thank you for all you do. Your help for those embracing the vegan lifestyle is huge, a normal voice, full of common sense in an otherwise conflictual and extremist frame of thouhts. Nutrition apart, don’t you think being vegan can actually put some pressure on your men,tal health. Being aware of the immense suffering of animals and not being able to share that concern with anyone around you (if you’re the oinly vegan you know) can be really depressing. What do you think about that? And do you have any methods of self-care you would recommend for vegans in this situation? Yes, I do think that being vegan can feel alienating and can foster feelings of depression and stress–related to our heightened awareness of animal suffering and the fact that we deal with this well outside of the mainstream. 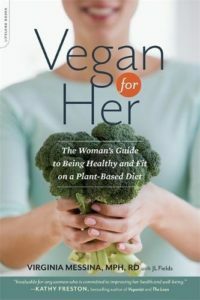 Sophia, have you read my book “Vegan for Her?” I shared some thoughts about self care in the chapter on depression. I’ll try to do a blog post in the near future that covers that information for those who haven’t read the book. The german word for meat actually does include poultry. I was baffled by this claim too, but it is actually from the research paper (1) itself. All three authors publish in and seem to speak German (at least two natively). However, DGE, German consumer service, Duden dictionary, and Wikipedia disagree. The expression “Fleisch und Geflügel” (“meat and poultry”) seems to be common for emphasis (esp. in the industry? ), but in the context of the question it seems pretty clear to me that “vegetarisch” and “kein Fleisch” would be about poultry, too. Maybe common language use was different in 1998 when the survey was conducted, or still is among people older than me? Anyway, I’m glad that the science is reassuring. Thanks for the post, Ginny! I’m confused about how a vegetarian diet can be called more natural, when supplements are not natural? And many of the supplements themselves are of animal origin, so I’m not sure if the diet itself can be called vegetarian any more. Most of the everyday medicines we use were not approved for humans without being tested on animals. Our doctors learn surgery on animals. Like it or not, it seems like our existence and progress seems dependent on animals. Anyway, India has a lot of people who have been vegetarian since birth, so research on the subject can be done here, to eliminate any possible bias from people who have mental health issues turning vegetarian. I don’t refer to a vegan diet as “more natural.” My stance is that as long as we can be healthy on a vegan diet, we have an obligation to eat that way since it does the least harm to animals. The only supplement that all vegans require is vitamin B12 and many meat-eaters need this supplement, too. Most people–no matter what they eat–also need vitamin D supplements. These supplements are all available in vegan forms. And yes, there are a lot of things that we can’t avoid that are or were derived from animals. It doesn’t mean that we shouldn’t do the best we can! thank you for that interesting article but as a native german I must say that the german word for meat ‘Fleisch’ indeed does include poultry ‘Geflügel’. It’s even called ‘Geflügelfleisch’ (lt. poultrymeat). When someone is a vegetarian in Germany that person doesn’t eat any meat and fish. If the person does indeed eat fish or certain kinds of meat that person maybe would say ”I’m mostly a vegetarian BUT…..”. Otherwise I’ve found your article informative. Thanks for doing check ups on those “studies” – it’s unfortunately not amazing that a magazine called “women’s health” would do such a disservice as post such nonsense. 1. Plant-oestrogen found in soya products. Soya would be good for woman going through menopause – but for a lot of other women, myself included, higher levels of plant oestrogen from consuming soya beans/products actually aggravate oestrogen levels ie push women’s oestrogen levels up too much. PMS for example, is caused by an imbalance of oestrogen ie women become oestrogen dominant at the end of their cycle instead of the beginning. There is certainly a link between elevated oestrogen levels and instantiations of psychotic episodes (mild or otherwise) in people who struggle with various disorders from depression and anxiety disorders etc. This is documented in men and women. 2. Insulin resistance (also related to oestrogen). 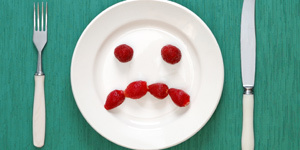 If a person enters a vegan diet when their endocrine system is out of whack (most people’s are, due to lifestyle), although their bodies will eventually balance (given enough time and ensuring their diets contain all the necessary nutrients) – a lot of the symptoms associated to depression and anxiety will be aggravated if the person is suddenly eating a high carb diet when they are insulin resistant. High carb diets in and of themselves are super healthy for most bodies (there is no one single type of body, let us not forget). But if endocrine system is not balanced, and suddenly a person is eating carbs to ensure protein needs are met, this will cause issues. Incidentally, insulin resistance is also related to higher levels of oestrogen (specifically if you are overweight – fat cells produce oestrogen). Also, the cycle of insulin spikes in a body can lead to symptoms of brain fog, anxiety, depression. In other words, it’s not the LACK of nutrients from a vegan/veg diet (unless it is – i.e. people are not educated enough to know about what their body needs) but what people eat instead of animal products to get what nutrients they need. Becoming vegan can be a profound way of connecting with your body and the environment. You need to ensure you eat the right things. You need to know where things come from and experiment with *your* body – what feels good, what doesn’t, watching how that changes you become healthier or less healthier. You have to stop being a blind consumer and pay attention to your body. You need to be active if you struggle with insulin resistance. Women specifically need to have an understanding of their endocrine system and watch out for elevated oestrogen levels/other imbalances (something that we should be doing anyway! – irrespective of diet). If you don’t know what you are doing you could easily end up feeling awful. But then again, same goes with a ‘typical’ diet. Anyway, this is based on my personal quest to eat vegan despite struggling with endocrine imbalances which certainly resulted in depression, brain fog, anxiety, etc. I am not a reliable source! But I have spent many hours with different specialists & endeavoured to get to the bottom of why i would not be on top form. I have spent equal time (if not more!) doing a whole bunch of stuff which didn’t help my body! (like coffee, gluten, alcohol). I suspect endocrine imbalances to be a really common but mostly unacknowledged source for so much that does wrong in bodies. Diet has a direct impact on that & the Vegan diet is amazing!…but personally only if i keep my insulin & hormone levels in check & I make sure I’m eating the right seeds & oils & veggies. I have gone back to eating meat in times when i couldn’t look out for my diet, instead of doing my body harm. I don’t feel great for that, but I do accept this about myself because along this journey I’ve discovered it’s not about being perfect. It’s about being informed, doing the best you can do, and being honest about that. The good news is we can always do better, even when we don’t. Maybe my personal experiences give someone a clue as to what they can do differently if they have also struggled in similar ways to me. Experiment and research, understanding your body’s processes is the only way to not let such insipid articles like the one on womenshealthmag.com get in the way of leading a healthy ethical diet.